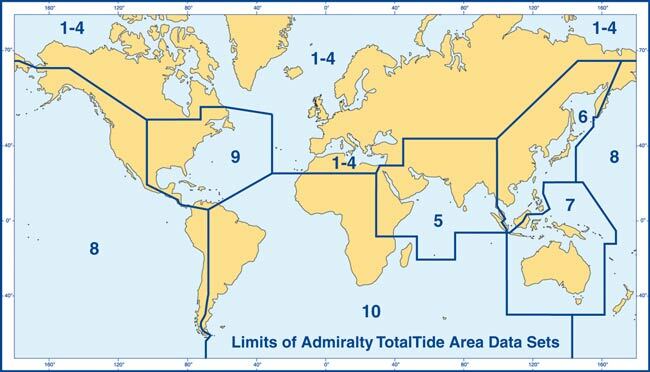 This digital version of the Admiralty Tide Tables make calculating tidal heights easy, using a simple to understand graphical interface combined with dynamic heights and curves that change over time. The world's most comprehensive tidal prediction program provides fast, accurate tidal height and tidal stream predictions. The software automates the prediction process, reduces the possibility of user error and provides an easy means of viewing both underkeel and safe overhead clearances. It contains tidal information for over 7,000 ports and more than 3,000 tidal stream stations worldwide. It is now accepted in place of the paper tide tables as carriage compliant by a large (and growing) number of flag states.